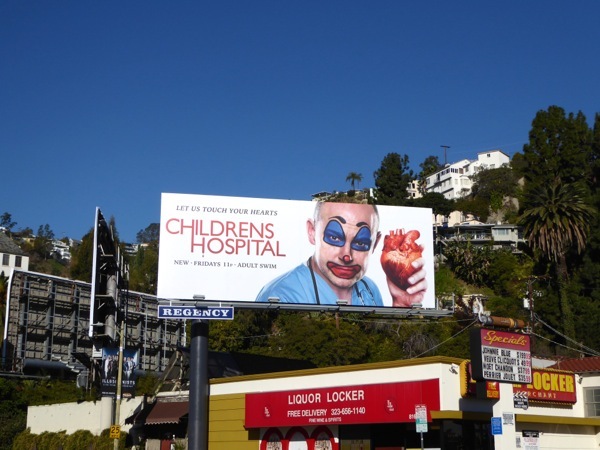 Sometimes the skies of L.A. are just filled with bloody good billboards, this Childrens Hospital ad creative being a perfect example. 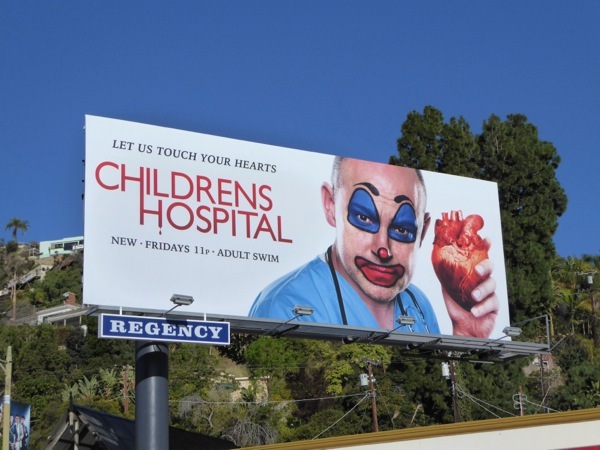 Now in its seventh season, Adult Swim's Emmy-winning live-action medical drama spoof hasn't lost its touch and Daily Billboard is sure that this graphic 'let us touch your heart' creative may provoke all kinds of outrage, but it certainly makes you look twice. 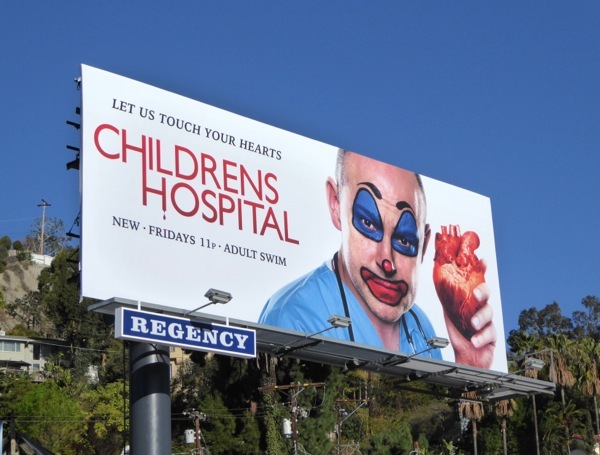 This latest season seven billboard with Rob Corddry's clown-faced 'Dr. Blake Downs' holding a real human heart was snapped along Sunset Boulevard in West Hollywood on January 25, 2016. 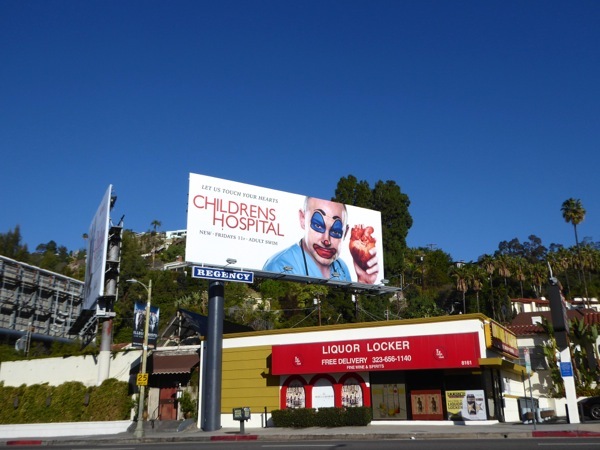 Fans of the show can also take a look at these past season promo billboards for Childrens Hospital, they're just what the doctor ordered. If you like this gruesome creative, be sure to also check out this similar billboard installation for The Vampire Diaries third season. Remember, an apple a day keeps the doctor away (from your heart).